My belief is that Eichlers are a direction, not an end point. I have studied extensively the work of the Eichler architects: Anshen and Allen, A. Quincy Jones, Claude Oakland, along with work by their peers: Felix Koenig, Bill Krisel, Beverly David Thorne. Having done that, I believe that I understand what they were aiming at, and often falling short of in the work, due to the limitations of the economics, available materials and technologies of the '50s and '60s. So I attempt in my designs to be true to what I perceive as the spirit of those visionary designers. Which brings me to updated Eichlers. Because I believe that those men, given the money, materials and technologies available today, would have built homes closer to what our remodels are producing. At the same time, because I'm building homes one at a time for specific clients, rather than 500 at a time for average homebuyers, my results are highly individual. But, they still carry the Eichler or Krisel intent of enhancing family life through intelligent architecture. I have a long personal association with Eichler homes – I’ve lived in seven of them. It all began in 1957 when I was seven years old, I moved into one in the San Mateo Highlands. There, I grew up in the middle of the ongoing Highlands Eichler tract development. I’ve lived in Eichlers in Palo Alto, Foster City and three up here in the Highlands, where I live now with my wife and family. I have always loved the basic logic of Eichler homes. I find their elegant simplicity to be not only livable but aesthetically pleasing. I’ve remodeled more Eichlers than I can easily count during the 40+ years over which I have been a designer/contractor. I’ve worked on five of them in the Stanford “professorville” community, about half a dozen in Palo Alto, many in Foster City, one of the custom Eichlers in Menlo Park, and many in the San Mateo Highlands. I have more than once been asked by clients living in non-Eichlers to do what I can to make their homes look/live like an Eichler. I truly love and understand these homes. I do what I can to show how versatile they are and how they can be improved and updated without losing their style, personality, and integrity. 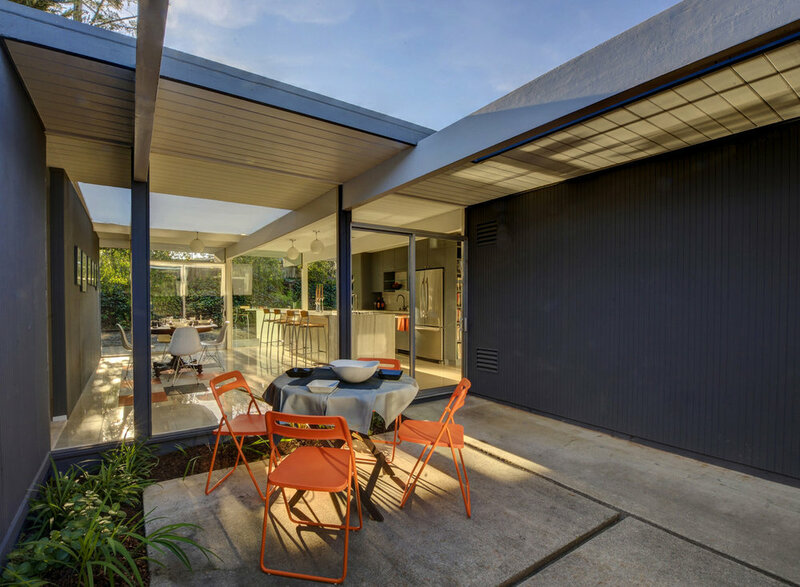 The Modern Architecture & Design Society (MA+DS) has featured DRACO's Sunnyvale Butterfly Eichler on the 2018 Silicon Valley Modern Home Tour. See our extensive list of Eichler projects here.